So this is book three in the series, I do have the first books and yet foolishly I started at the end instead of the beginning, This story just sounded so compelling that I had to read it. and I certainly wasn't disappointed. With well written, strong, compelling characters, I was immediately drawn into the story. I want to move to this town, I would love to meet all the people that live there, yes, small towns are a nit of a pain when it comes to everyone knows your business but when you need help they are willing to be there more than anyone else (in the right towns anyway). I always wanted to know something about what would compel someone to join a commune and in reading Devon's story I truly began to understand. I believe she is extremely brave for wanting to get away for knowing herself well enough and demanding more for her daughter than what Jacob could give her. Despite her desperate need to belong to and make herself a family because of her early life, she knew what was there wasn't what she needed. She then made a new life for herself. And I just love it!! There are moments within the book I wasn't happy with Devon because I think she could have done more, but then ou look and realize that it isn't her character to do these things, and yet in the end, she was ultimately her own hero. I loved Rawley and was totally looking forward to hearing more of his story, and seeing how much he was growing with Devon and Mercy in his life. Spencer or "Pencer" as Mercy called him. I liked him as a character, he was both strong and vulnerable at the same time, he was desperate to no longer be hurt after so much tragedy had visited him in such a short time. I totally felt for him as a character, he really grew as a man and as a 'hero' for Devon. That moment that all characters must face when thrown into a deep relationship came well and really made both of them look deep and accept their own boundaries. I really loved Decon in that moment because she truly showed how much living in Thunder Point made a difference in her life. 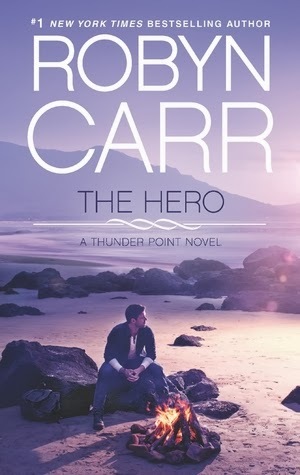 I would love to come back and see the rest of the story and see how Mercy grows, how Thunder Point saves others and catch up with the other characters we got a glimpse of in this book. Excuse me while I go read books 1 & 2.